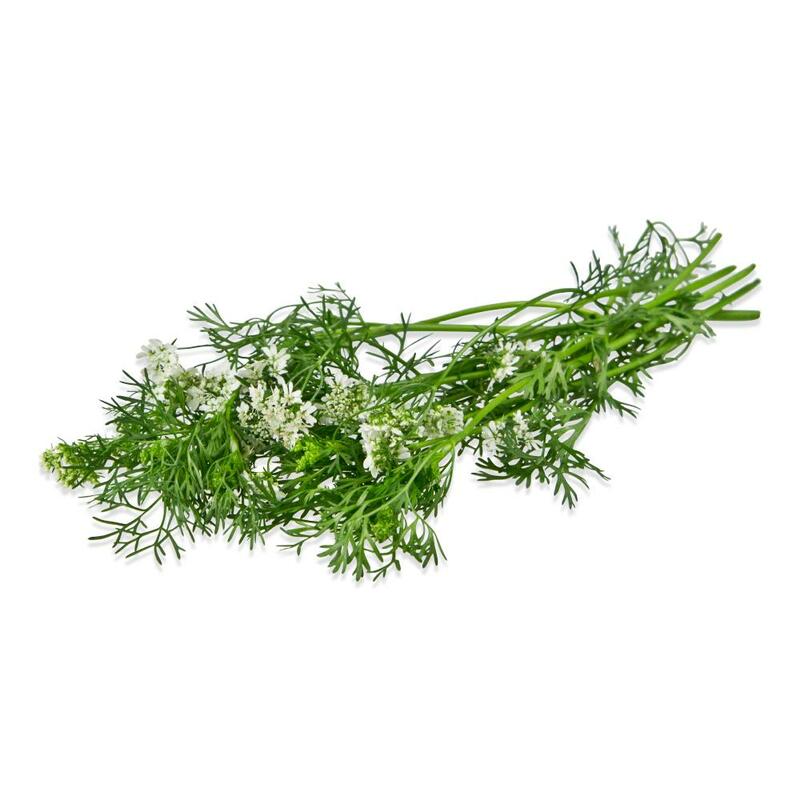 Cilantro flowers are sold as delicate young cilantro sprigs (approx. 3”-6” long) with fine leaves and one or more bunches of tiny white blossoms on top of them (bunches are about ½” wide). They have a fresh, clean cilantro flavor. The sprigs are edible and have a less intense version of the flowers’ flavor. 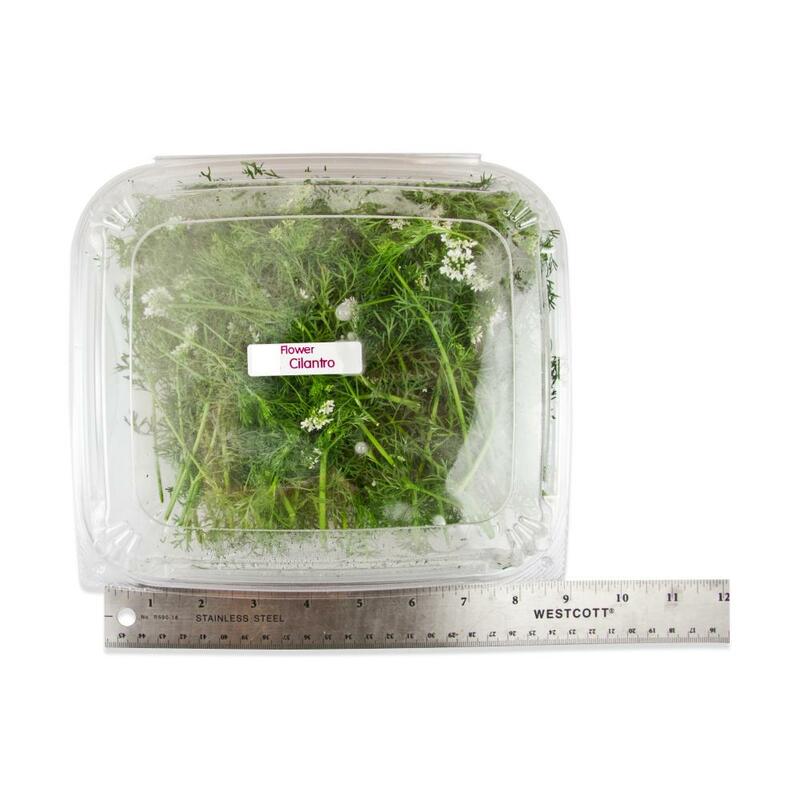 Bulk fresh cilantro and cilantro microgreens are also available. Store cilantro flowers in their plastic clamshells in your refrigerator. Cilantro flowers can be used as a garnish for any foods that pair well with fresh cilantro like poultry, pork, curries, tacos, etc. 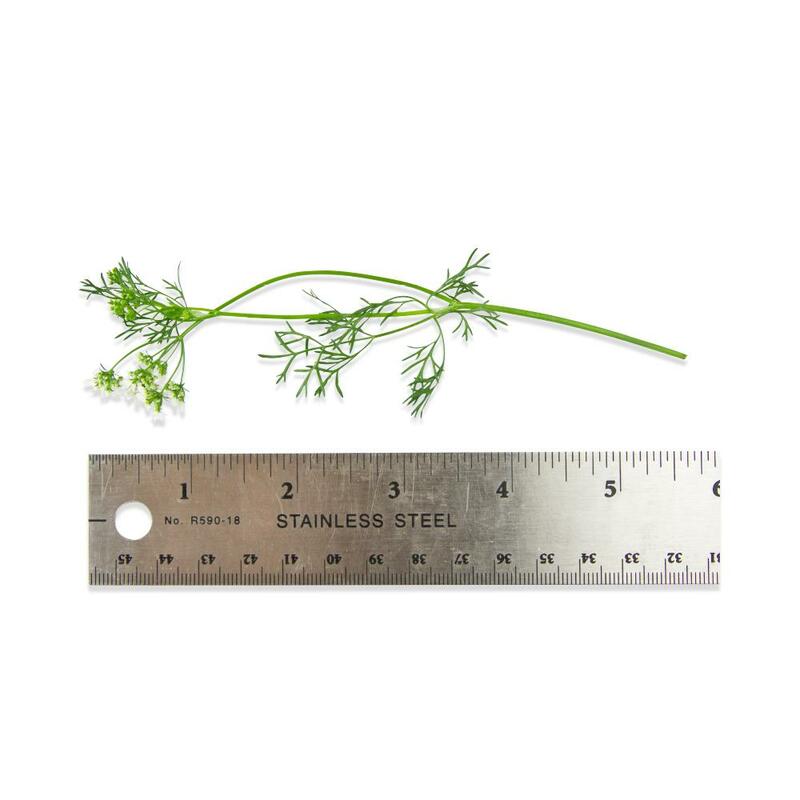 The attached cilantro sprigs can be used similarly to full grown cilantro as a topping/finishing ingredient. The tender branches can be pinched off of the stems for use whole, or the whole sprigs can be chopped.